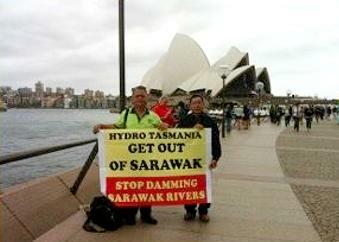 CANBERRA, Australia, November 28, 2012 (ENS) – Australian Greens Senators have joined with indigenous leaders from the Malaysian state of Sarawak in a new national campaign to get Hydro Tasmania to withdraw from Sarawak’s plan to dam most of the state’s rivers. Indigenous leaders are now visiting Australia to raise awareness of the Sarawak government’s multi-billion dollar dam plan that will destroy many wild rivers in the Malaysian state on the island of Borneo. “Hydro Tasmania is turning a blind eye to the human rights and environmental impacts of these dams,” said Kallang. 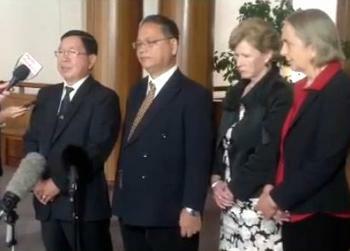 Greens Leader Senator Christine Milne and Senator Lee Rhiannon say dams proposed for Sarawak rivers are displacing tens of thousands of people from their homes and flooding large tracts of forests and farmland. “Hydro Tasmania cannot walk away from their responsibility for the damage these dams will cause to thousands of villagers in Sarawak,” Milne said. Hydro Tasmania is a dams operator and consultancy firm owned by the government of the Australian state of Tasmania. Hydro Tasmania’s professional services business, Entura, provides engineering and management services to the Sarawak electric utility, Sarawak Energy Berhad, SEB. The Sarawak state government under Chief Minister Taib Mahmud is planning to dam most of the rivers in the state’s interior, with planned investments of up to US$105 billion by 2030, warns Swiss nongovernmental organization Bruno Manser Fund, BMF, in a new report. “The dam plans, which are being pushed ahead under a cloak of secrecy, constitute the core element of the so-called Sarawak Corridor of Renewable Energy, SCORE. If implemented, they would entail the cultural genocide of a significant part of Sarawak’s rich indigenous culture,” according to the BMF report, issued November 22. The BMF report, “Sold Down the River. How Sarawak Dam Plans Compromise the Future of Malaysia’s Indigenous Peoples,” details how Hydro Tasmania seconded nine of its Australian employees, including seven managers, to Sarawak Energy in 2010 and planned that “20-30 additional support staff” should be appointed to the dam development program over time. Andrew Pattle, project director for the Murum dam currently under construction and senior project manager for the proposed Baram and Baleh dams, is one of the staff seconded from Hydro Tasmania. Sarawak Energy has nearly completed construction of the first dam in the SCORE agenda, the 940 MW hydroelectric project on the Murum River in Belaga, Central Sarawak, expected to come online in 2013. About 1,500 Penan and Kenyah people indigenous to the area have been displaced and vast swaths of rainforest cleared for dam construction. Other personnel from Hydro Tasmania working on damming Sarawak rivers are: Miles Smith, the vice president and head of planning and strategy at Sarawak Energy; Graeme Maher, senior manager hydropower development at Sarawak Energy; and James Hannon, senior manager contracts. Nick Wright, former senior advisor to Tasmania’s energy minister, now holds a position at Sarawak Energy as vice president who is responsible for corporate social responsibility. In this position, Wright is also responsible for resettlement issues, sustainability and community consultation. The indigenous leaders also met with Government Senator Lisa Singh, the Australian Labor Party Senator for Tasmania and the first person of South Asian descent ever elected to the Australian Parliament. From 2006 to 2010, she was a Member of the Tasmanian House of Assembly. Singh offered her support for the struggle against damming Sarawak rivers and expressed concern about Hydro Tasmania’s involvement. “Senator Singh offered to take the issue to her Tasmanian colleagues and we hope that she will make a public statement condemning the human rights abuses soon,” the indigenous leaders said in a statement. 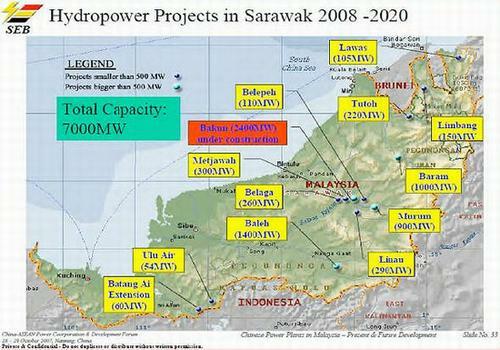 In its latest annual report, covering 2011-2012, Hydro Tasmania defends the activities of its Entura division in Sarawak. 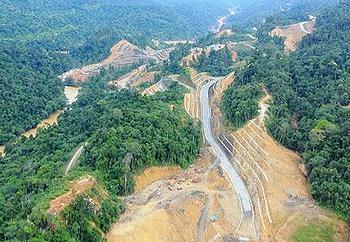 “Entura’s work in Sarawak has received some media attention over the past 12 months. The basis for this attention is a combination of misconceptions about the type of work Entura is undertaking in Sarawak and the stance of some community groups on development within Sarawak,” the annual report states. The indigenous leaders now travel to Melbourne for more meetings with nongovernmental organizations, lobby groups and politicians to raise support for keeping Sarawak rivers in their natural wild state.